Today’s gold standard for tooth replacement is dental implants. A dental implant is a small, titanium alloy screw which is used to surgically replace damaged or missing natural teeth. The implant is placed into the jawbone so that the screw can firmly connect the artificial teeth or any other prosthesis to the jaw. Implants can also be used to support loose, removable dentures. Prior to dental implants, a partial denture or fixed bridge was the standard approach for tooth replacement. With a fixed bridge, the two teeth on either side of the gap (abutment teeth) are crowned and these support a “pontic” (a false tooth) between them. The biggest disadvantage of this type of treatment is that the abutment teeth are drilled down to accommodate the crowns which can often compromise healthy teeth. The biggest advantage of dental implants is that they do not affect the integrity of the adjacent teeth. However there must be a sufficient amount of healthy jaw bone to anchor the implant and the adjacent teeth and gums must be healthy. They also have a longer lifespan in comparison to bridgework. To assess the quality and volume of bone we can now use 3D scanners which makes treatment simpler and safer. Why is replacing missing or lost teeth important in the first place? Loosing teeth can put an emotional stress on ourselves. We all care about our appearance and how we look and this can affect our confidence both at work and on a personal basis. Once a tooth is lost, the balance of the entire dental structure is disturbed. The gap can allow the remaining teeth to tilt and shift. This can affect regular chewing and can lead to further problems down the line. If multiple teeth are lost then bone can be lost which can make the face height change. Chewing can be uncomfortable if missing teeth are replaced with ill fitting dentures. The gum often becomes thin and delicate and the forces developed by the denture can cause ulceration and swelling. Losing the ability to chew food properly can stop you from enjoying a big part of your life. This is a frequently asked question by parents of young children. This depends on the dental age of the patient rather than chronological age. Braces are usually associated with teenagers but this isn’t always the case. Treatment can start as early as seven years of age. A good time to have your child assessed by an orthodontist is after the front permanent teeth have erupted into the mouth or if there is extreme crowding of the teeth. Regular visits to the dentist are important as they will be looking out for any problems that might benefit early orthodontic treatment. Any concerns should be referred to an orthodontist. Baby teeth that are lost too early or too late. Most are lost between the age of 5-14. Thumb sucking; especially if its excessive or carries on beyond the age of 4. Teeth that don’t bite together properly or stick out. It is important that your dentist keeps a close eye on your child’s development as some problems are treated more efficiently at a young age. As we age our jaw bone stops growing so orthodontic treatment becomes slightly more difficult. By starting early we can guide the jaw bone growth and change their position and width. The alternative solution for adults is tooth removal or surgery. Early intervention can also help make sure there is enough space as the adult teeth start to come through in the correct position. Front teeth which protrude are very vulnerable to trauma. This is especially the case in young adults who are playing contact sports. Gum shields will reduce but not eliminate the risks. Early treatment to reduce the overjet can reduce the odds of catastrophic trauma to these teeth. Wearing a fixed or removable brace although removable is more common. If the child has a small jaw or teeth that stick out your orthodontist might recommend a twin block brace. This is removable and repositions the jaws helping them into the correct position. This is usually followed by a fixed brace. Your dentist can refer your child directly for a private assessment and treatment at any time for a specialist opinion. If you child has an NHS assessment and qualifies for treatment they may need to join a waiting list before the braces are fitted. This is due to limited funding available on the NHS. Typical waiting lists can be up to 2 years. As we age, some people believe that losing their teeth is inevitable. This is a misconception! With proper care your teeth can last a lifetime. There have been huge strides made in technological developments. These modern techniques can extend the life of your teeth preserving function and of course a healthy smile. As we get older our resistance to infection can reduce. The bacteria that cause gum disease can take advantage of this. Gum disease, not tooth decay is the number one cause of missing teeth in adults. If left untreated it can cause advanced gum disease called periodontitis. Ultimately this can cause bone loss and subsequent tooth loss. Daily brushing, flossing together with regular professional care will help keep your teeth and gums healthy. Some patients need more regular hygiene appointments and perhaps more involved treatment in order to restore and maintain gum health. A periodontist is a specially trained dentist who can help to save teeth which might otherwise seem to be hopeless. Although teeth are really strong, they can be worn down over time. All the years of chewing, grinding and biting can wear away the enamel-the hard outer layer of the teeth. Avoid chewing ice and other hard foods as they can cause chips in the enamel. There are cosmetic methods available that can improve the appearance of worn teeth such as composite facings and porcelain veneers. Saliva helps keep teeth clean and protects them from decay. As we get older our mouths get drier and the odds of tooth decay go up. Medication can be to blame. Drink lots of water and hold it in your mouth for a few seconds before you swallow. Chewing sugarless gum can also encourage saliva. Avoid sugary snacks. Our smile is integral to our health and happiness. Losing teeth diminishes this and most importantly function. The way we talk and eat affect the way we feel about ourselves. Loose dentures can now be a thing of the past. 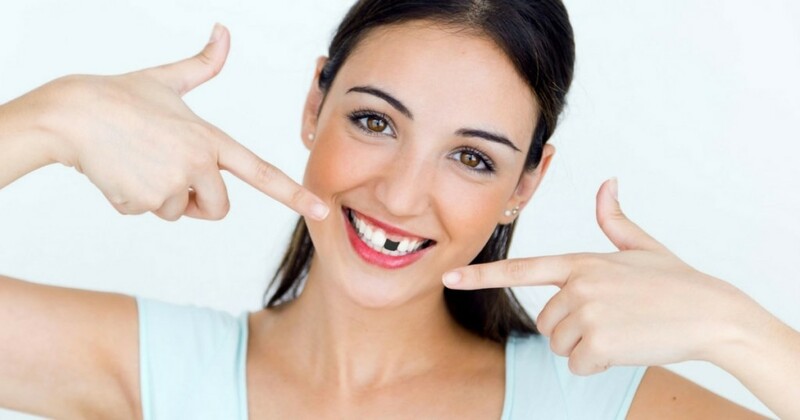 Technological advancements such as dental implants can now give you fixed teeth. This can subtract years off your age and add to your confidence and health. The ability to eat all foods is life enriching! Age should be no barrier to having straight teeth. Crooked teeth can be difficult to clean and this can often lead to tooth decay. Modern, discreet and often invisible braces can move teeth quickly to help you achieve a great smile. It’s never too late to achieve a beautiful smile. Age gives us the time and ability to pursue our own interests and passions. Take this opportunity to invest in your smile and enjoy the positive effect that it will have on your life! I would like to record my thanks and complete satisfaction with my implant treatment. As a very nervous patient with a thousand questions, I was treated superbly. From the welcome of staff at reception to the work of David and Jim I was made to feel reassured. The process has been very thorough and explained throughout. Only regret- should have come to the Mayhill years ago. Dental Anxiety is one of the most common phobias in the world with nearly a third of all adults disliking the dentist and 1 in 10 of us having a phobia so strong that we actually avoid visiting the dentist. A phobia is an intense, unreasonable fear. People with dental phobias often put off routine care for years or even decades. To avoid it they will put up with gum disease, pain and even broken teeth. This is discomfort and nervousness as opposed to fear or panic. This is the first step to overcoming dental fear. With a combination of kindness and gentleness, dentists can do a lot to make dental treatment stress free. Controlled breathing relaxes the body and shifts the mind to other things. This simply involves inhaling and exhaling through the nose for a slow count of three. Needle phobias can be overcome through painless treatment. Advances in technology has also improved dentistry. Treatment can now be pain free. The dental wand ( a computerised injection system that looks like a pen and delivers anaesthetic very slowly so it is painless) is great for anyone with needle phobia. A numbing gel can also be used to numb the gums before an injection so you don’t feel the needle. Sedation: This may prove one of the best solutions for severe sufferers of dental anxiety, giving you a better chance of visiting the dentist again! There are different types of sedation available. The simplest is oral sedation which is a tablet you swallow an hour before treatment. You will still be awake and aware of what is happening around you but you will also be drowsy and more relaxed. There is also the option of intravenous sedation. This is an injection which is administered into the back of the hand. You will still be awake, however you will be in a deeply relaxed state and may not remember what happened afterwards. Is the taste of ice cream or a sip of a hot drink making you wince with pain? Does brushing or flossing sometimes cause you pain? If so, you may have sensitive teeth. Any sensitivity needs to be checked with a dentist as there could be other possible causes such as tooth decay, fractured teeth, worn fillings, grinding or clenching and gum disease. If your dentist has ruled out these problems then it is likely to be tooth sensitivity. Tooth sensitivity occurs when the enamel that protects the teeth gets thinner or when gum recession occurs, exposing the underlying surface called the dentine. This reduces the protection the enamel and gums provide to the tooth and roots. The dentin contains microscopic tubules which are exposed when the enamel wears thin. These tubules allow heat, cold and acidity to stimulate the nerves inside the tooth. This causes hypersensitivity. Dentin may also be exposed when gums recede. Incorrect or over brushing can cause gum recession. Teeth should be brushed gently using a soft bristled toothbrush twice a day. A soft brush can prevent tooth abrasion and prevent enamel wear. Use short strikes following an up and down movement. Avoiding acidic foods and drink can help prevent sensitivity and enamel wear. Use a fluoride toothpaste to strengthen tooth enamel. Flossing once a day can help get rid of plaque on the gum line and keeps gum healthy thus avoiding gum disease. Desensitising toothpastes; These contain compounds that help block transmission of sensation from the tooth surface to the nerve. Put some paste on your finger and directly apply on the sore spot and gently massage. Desensitising products; The dental team can treat the affected teeth with fluoride gels and varnishes. These can be painted on to the teeth at regular appointments to build up protection. If this does not alleviate symptoms the dentist may seal or fill around the neck of the tooth to cover exposed dentine. Surgical gum grafts; This will replace the lost gum tissue from the root. Root Canal Therapy; If the sensitivity is severe and persistent and does not respond to other methods. Get treated for Bruxism: if you grind or clench your teeth use a mouth guard at night. Grinding your teeth can cause the enamel of the teeth to wear away, making the teeth sensitive. comfortable bridge which sits well with the teeth on either side. I much appreciate, too, the understanding you showed me as a patient, making sure that eating would not be a problem and that my mouth looked and felt as natural as possible throughout the treatment. I am very much obliged to you. Bad breath or halitosis is a common problem that can affect anyone at any age. About one in four people are thought to have bad breath. A new study published in the International Journal of Dental Hygiene looked at the impact of bad breath in relation to people’s quality of life and on average found that people who suffer from bad breath were found to be less confident as those who didn’t. Individuals who suffer from bad breath say that it can have a negative impact on them psychologically in areas such as communication and self -esteem. Getting rid of bad breath is relatively easy to achieve. It is a common problem and there are many different causes, it’s not always down to what you have just eaten! A simple test to find out if you have bad breath is to lick the inside of your wrist with the back of your tongue and wait a few seconds until the saliva dries. If the wrist smells unpleasant the its likely the breath will too. Smelly gases released by bacteria that coat the teeth, gums and tongue. Food trapped between teeth can rot and cause an unpleasant smell. Gum disease and tooth decay are caused by the same bacteria that causes halitosis. Having bad breath all the time or a bad taste in your mouth are warning signs of gum disease. Dry mouth (also called xerostoma) can also cause bad breath. Saliva is necessary to moisten the mouth, neutralize acids produced by plaque and wash away dead cells that accumulate on the tongue, gums and cheeks. If not removed they decompose and cause bad breath. Dry mouth can also be a side effect of various medications, salivary gland problems or continuous breathing through the mouth. Good oral hygiene. Brushing twice a day with fluoride toothpaste and don’t forget to brush the tongue as well! Replace toothbrush every 2 to 3 months and use floss or interdental cleaners to remove food particles once a day. Dentures should be removed at night and cleaned thoroughly. Mouth wash or sugar free chewing gum which can stimulate saliva which washes away food particles and bacteria. See a dentist and hygienist regularly. In most cases your dentist can treat bad breath. If the bad breath is not of oral origin, you may be referred to your doctor. If the odour is due to gum disease then you could be referred to a periodontist who treats gum conditions. Please feel free to call the Mayhill Dental Centre on 01600 712020 or email info@themayhill.co.uk for further information or advice.